Peel and mash the boiled potato and add ginger-garlic paste, green chillies, chilli powder, turmeric powder, cumin powder, pepper powder, chopped coriander leaves, lemon juice and enough salt to this and mix well. Divide this to eight portions. 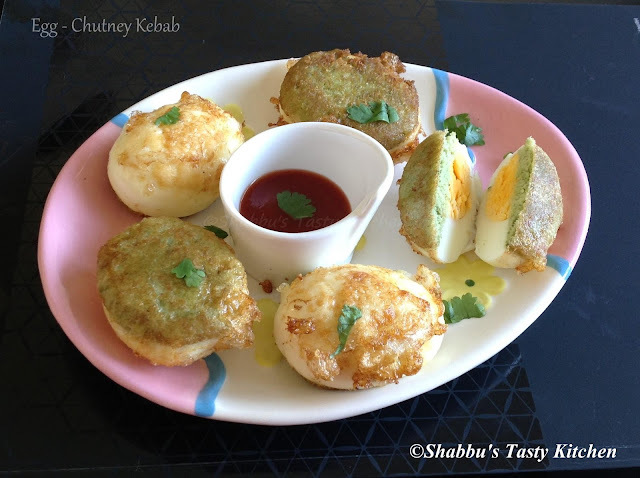 Cut each egg into four pieces and cover each piece of egg with the prepared potato mixture and make it to oval shape. Dip this in egg white and then roll in bread crumbs. Again dip it in egg white and roll it in bread crumbs. Divide half of the strawberry puree and fill 2 tbsp of strawberry puree between the popsicle moulds and keep it aside. In a small bowl, add mashed bananas, yoghurt, 1 tbsp sugar and vanilla essence and stir well to combine. Add this banana mixture evenly over the strawberry layer, filling about 2/3 full of popsicle moulds. Heat oil in a manchatty / pan and add sliced onion, crushed ginger, green chillies and curry leaves and saute well till golden brown. Then reduce the flame and add 1 tsp turmeric powder and mix well till raw smell disappears. Add coriander powder and mix well. Then add chilli powder and mix well. 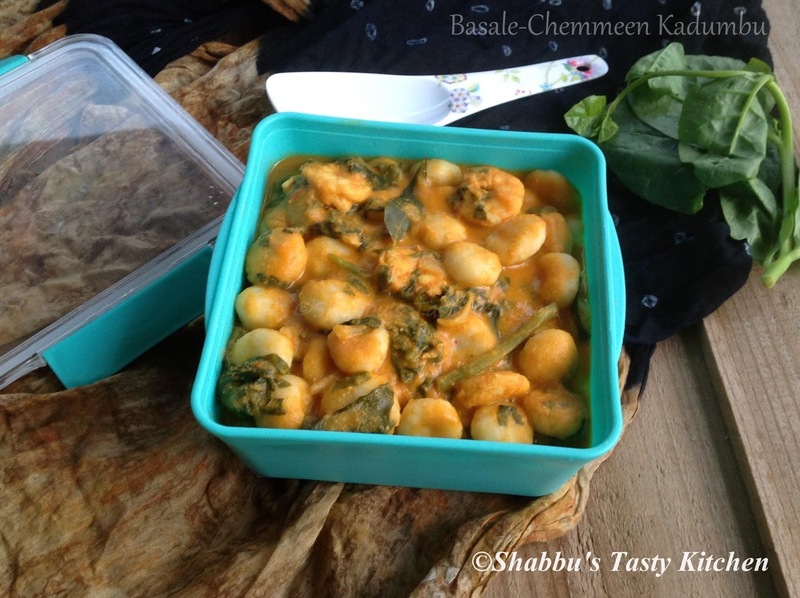 Add thin coconut milk, cubed potatoes and salt, mix well and cook covered till done, stirring in between. Add garam masala to this and mix well. Add vinegar and mix well. Add the boiled egg pieces and mix gently to cover the eggs with the gravy. Heat little oil in a small pan and fry dry red chillies, sliced shallots and curry leaves. Add 1/4 tsp turmeric powder to this and mix well. Keep the leftover cooked rice in the freezer for about 6-7 hours or overnight. Then take the frozen rice and keep it outside for few hours or put the rice in water. 2. 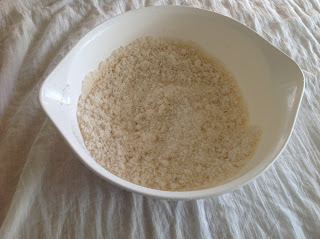 When the rice separates, squeeze excess water from the frozen rice and powder/ grind it to a smooth powdered form using a mixie ( the mixture will looks like rice flour). 3. 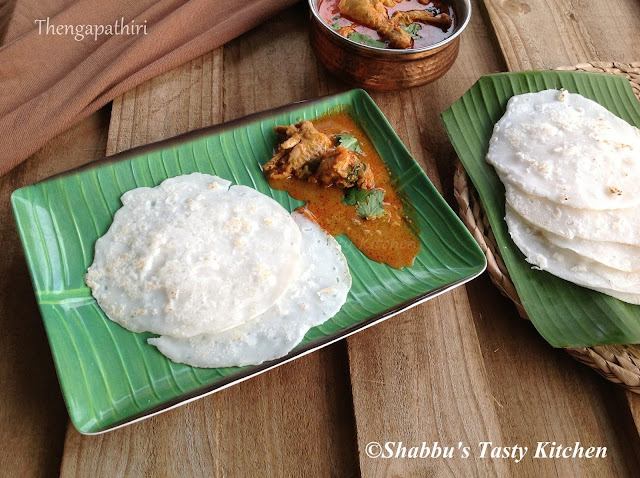 Add little puttupodi and salt to this and mix well with hand without any lumps. No need to add extra water..
4. 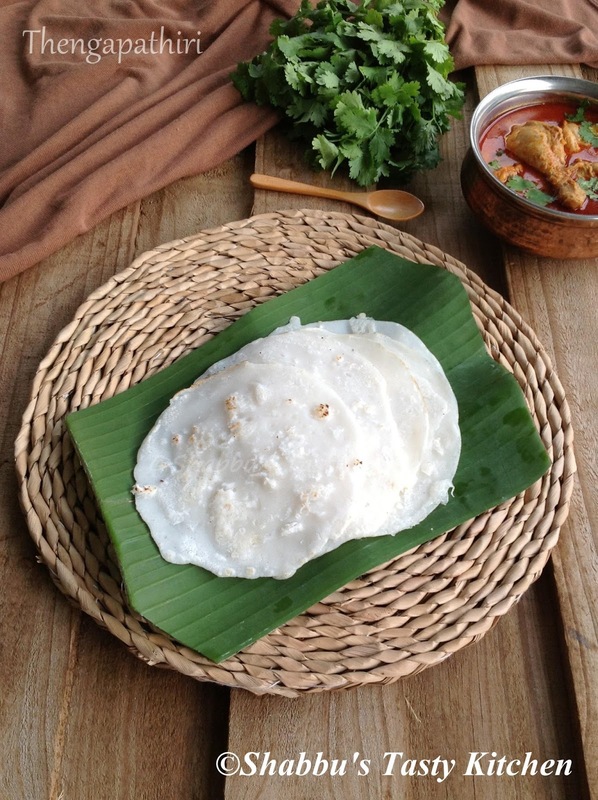 Take a puttu maker and layer it with grated coconut first, then the rice flour and then a layer of grated coconut. Repeat the process till the puttu maker is filled. 5. 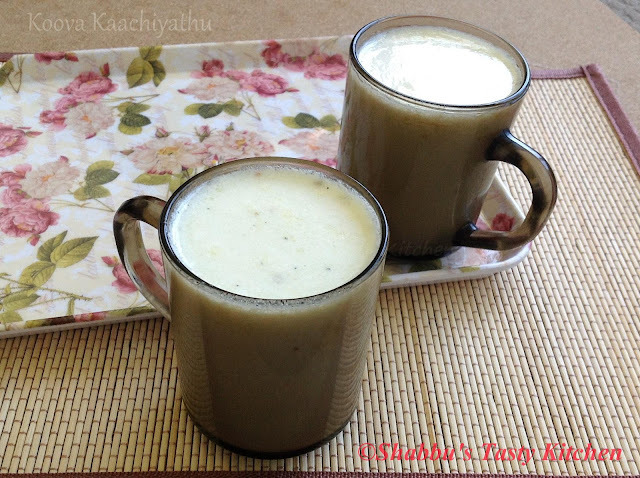 Fill pressure cooker/ puttu kudam with 3-4 cups of water and bring to a boil. 6. Place the puttu maker on top of it and steam cook for 5-7 minutes or until the steam starts coming out from the top of puttu maker. 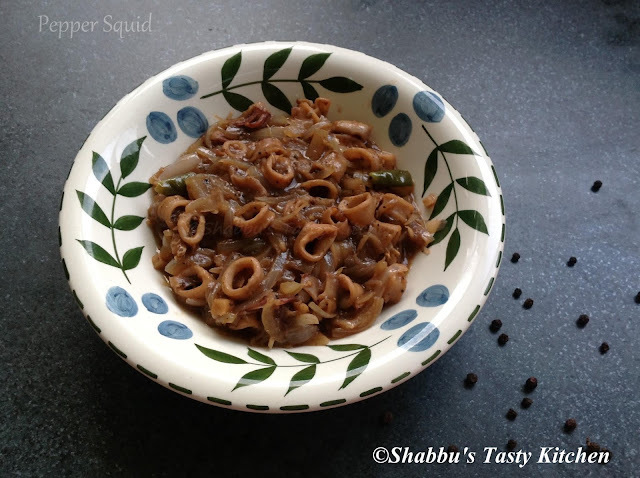 In a pressure cooker, add the cleaned squid, chopped ginger, garlic, crushed pepper and salt and mix well. Cover and cook for 1 whistle and then reduce the flame and cook for 2 whistles. Once pressure releases, open the cooker and keep it aside. Heat oil in another pan and add sliced onion and green chillies and saute well. Add cooked squid along with its gravy to this and mix well for 2-3 minutes. Add soy sauce and mix well for a minute. Then add tomato sauce and mix well. Heat oil in a pan and splutter mustard seeds. Add ginger, garlic and green chillies and saute for 30 seconds on medium flame. Add dry red chillies and curry leaves and saute well. Add sliced shallots and saute well till transparent. Add turmeric powder and chilli powder and mix well till the raw smell disappears. Add cleaned prawns ,tomatoes and lemon juice and mix well. Add salt and little water to this, mix well and allow to boil. Then add coconut paste and mix well. Add sliced tender coconut and mix well till masala is well coated with prawns and tender coconut. Cut the pomegranate and separate the arils (seeds). In a blender, add the pomegranate seeds, plums, sugar and water and blend well. Cut the chicken into medium size pieces and marinate it with ingredients "for marination" about minimum of 2 hours. Heat 4 tbsp oil in a pan and cook the marinated chicken pieces till done for about 20-25 minutes. Preserve the juices with the chicken. Heat 1/4 cup of oil in a pan and add cinnamon, cardamom, cloves, bay leaf and shahi jeera. Add chopped onions and fry till light golden, along with slit green chillies and chopped mint leaves. Add 1 tbsp ginger-garlic paste and fry for a minute. Add chopped tomatoes to this and saute till soft. Then add the chilli powder, coriander powder, roasted cumin powder and turmeric powder and cook on low flame for 5 minutes till oil separates. Add 1/2 cup yogurt, kasoori methi, garam masala and chopped coriander leaves to this and cook covered for another 5 minutes. Add this biriyani masala to the cooked chicken tikka pieces, mix well and cook for another 5 minutes on low flame. Adjust the salt and add water if needed. Place a piece of foil on the surface of the gravy and keep a hot burning coal on it. 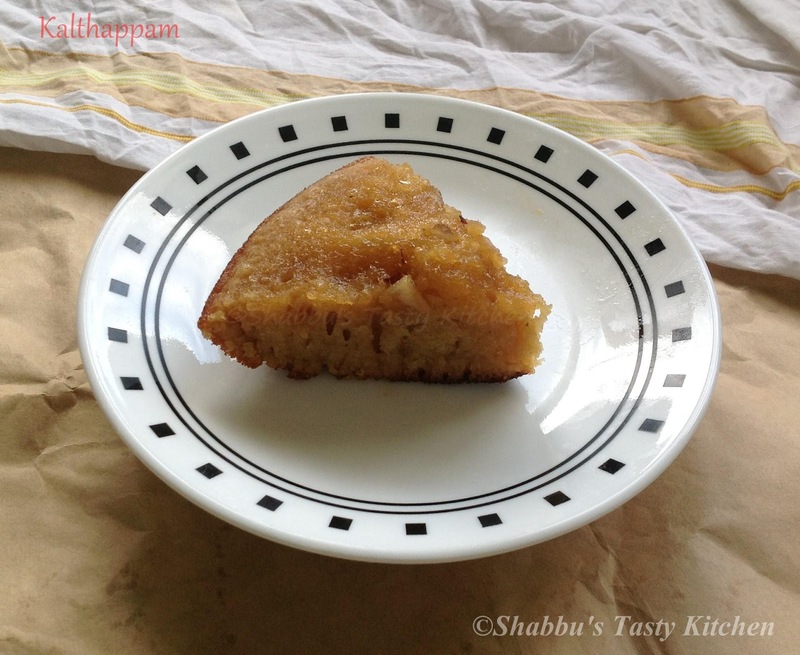 Pour a tsp of ghee over the coal and cover it with an air tight lid to trap the smoke. Leave it covered for 15-20 minutes and then open the lid and discard the foil and coil piece. Heat a large vessel filled with enough water and bring to a boil. Add bay leaves, cinnamon, cardamom , vinegar, salt and oil. Add the soaked rice and cook till 90 % done. Drain the rice in a colander and keep it aside. 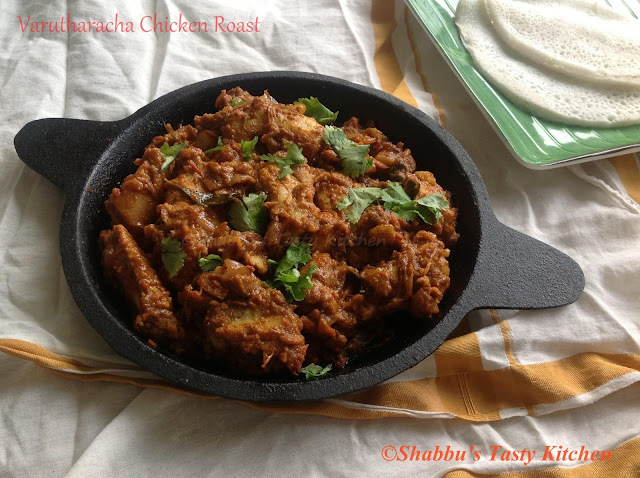 In a large thick bottomed pan, add all the chicken tikka masala as first layer. Spread half of the cooked rice and sprinkle with the few drops of milk + rosewater + color mixture. Sprinkle a handful of coriander leaves and fried onion along with pinch of garam masala and 1 tsp shahi jeera. Repeat the step 2 and step 3 with rest of the rice and make some deep dents in the rice. Pour some ghee over the rice and seal the pan with a foil and a tight lid. Cook on medium high heat for 10 minutes. Switch off the flame and keep it covered for another 15 minutes. 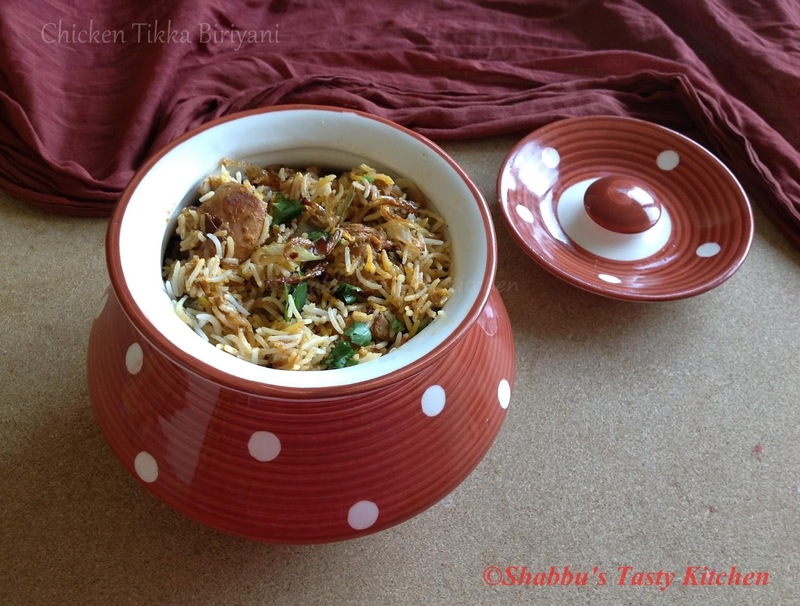 While assembling the biriyani for dum, make sure that the rice and gravy are both hot enough. In a blender, add the cleaned chicken pieces, garlic, ginger, pepper powder, green chillies and salt and grind to a paste. 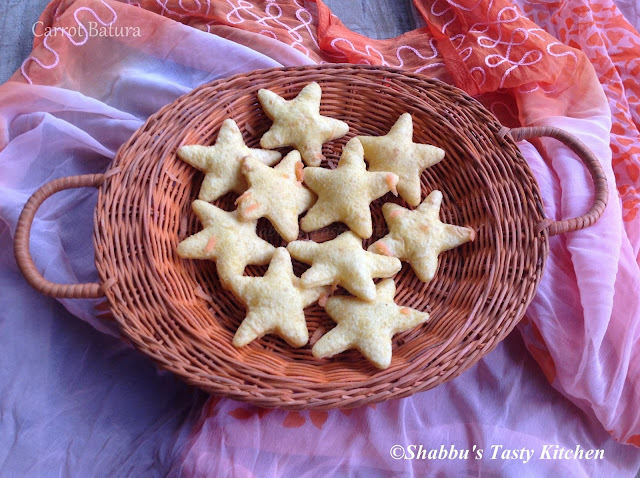 Transfer this to a bowl and add garam masala and cornflour and mix well with your hand. Apply little oil on hand and make lemon sized balls of the mixture and flatten it gently using your fingers. Then place a cheese cube in the center and then roll it into a ball. Repeat the same with the remaining mixture and cheese cubes. Beat the eggs in a bowl. 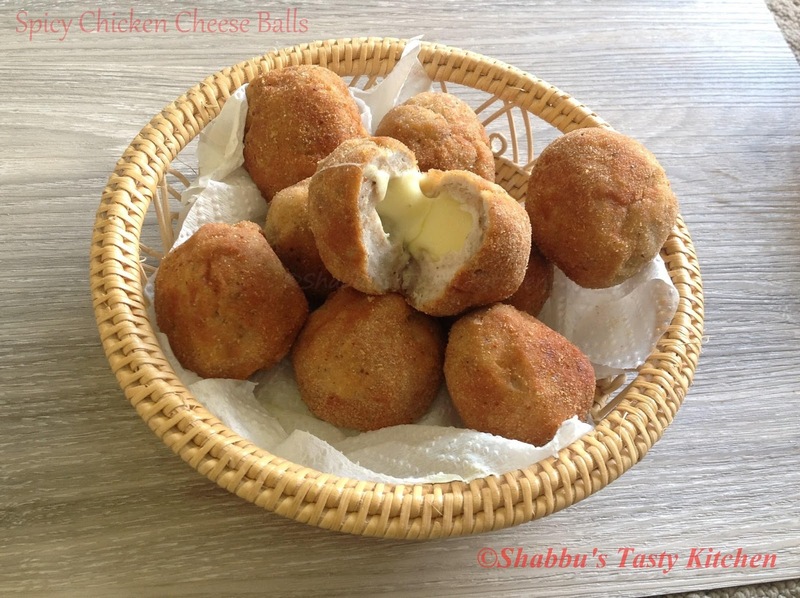 Dip each prepared ball in the beaten egg and roll them in bread crumbs. 6. Heat oil in a pan and gently drop them in the hot oil and fry them in batches until it turns golden brown on low-medium flame. 7. Remove from the oil and drain them on a paper towel....Serve hot.. 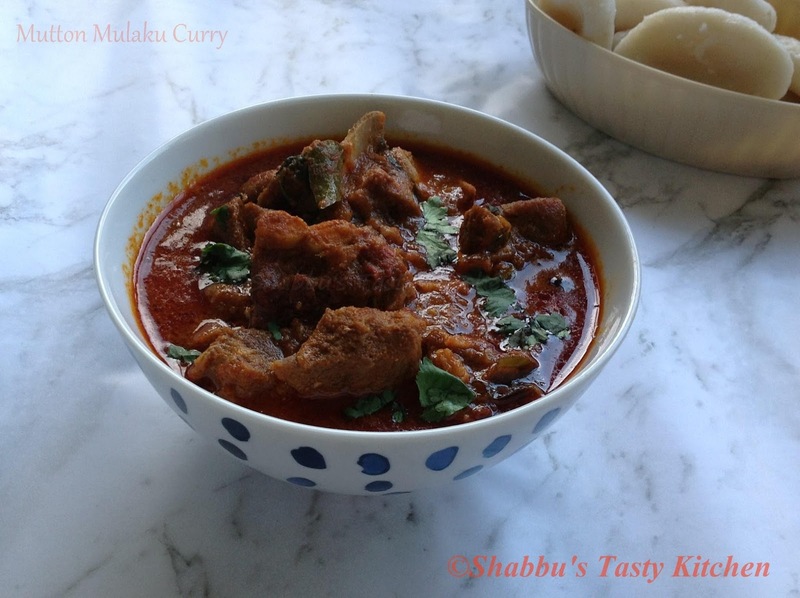 In a saucepan, add milk, coconut milk, sugar, salt and arrowroot powder and mix well. Keep it on low-medium flame and bring it to a boil, stirring continuously. When the mixture starts thickening, add the cardamom powder and mix well.Switch off the flame. Heat ghee in a small pan and fry the cashew nuts and raisins. Pour this into the koova kaachiyathu and stir well..Serve Warm.. In a bowl, mix maida with salt. 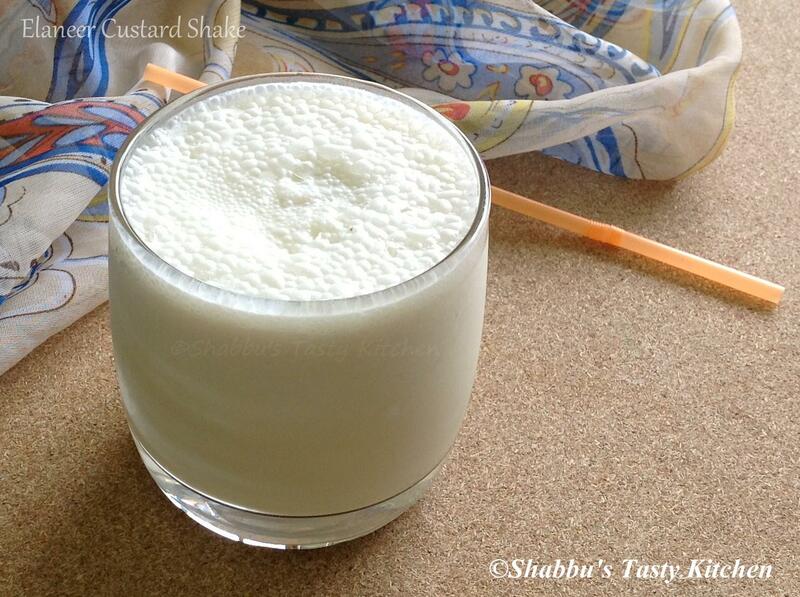 Add milk and little water to this and make a smooth loose batter and keep it aside. In another bowl, add the eggs, sugar and cardamom powder and beat well and keep it aside. Heat a thick bottomed pan and add 1 tbsp ghee and roast cashew nuts and raisins till golden brown and keep it aside. 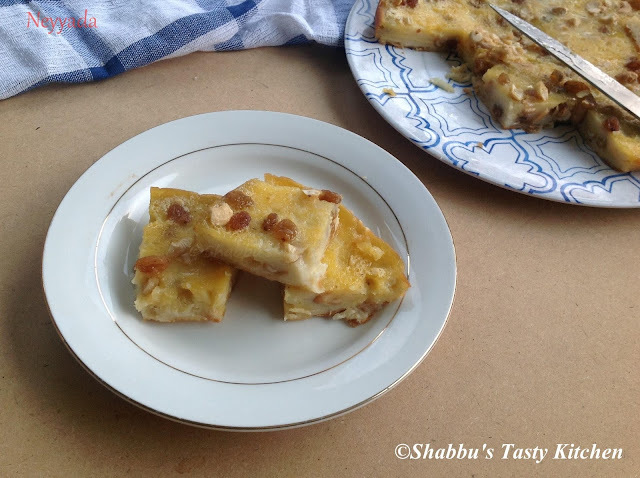 Spread the ghee evenly on the same pan and pour 1/4 cup of the maida batter to make a layer and sprinkle some cashew nuts and raisins on top. Cover and cook it in low flame for few minutes. 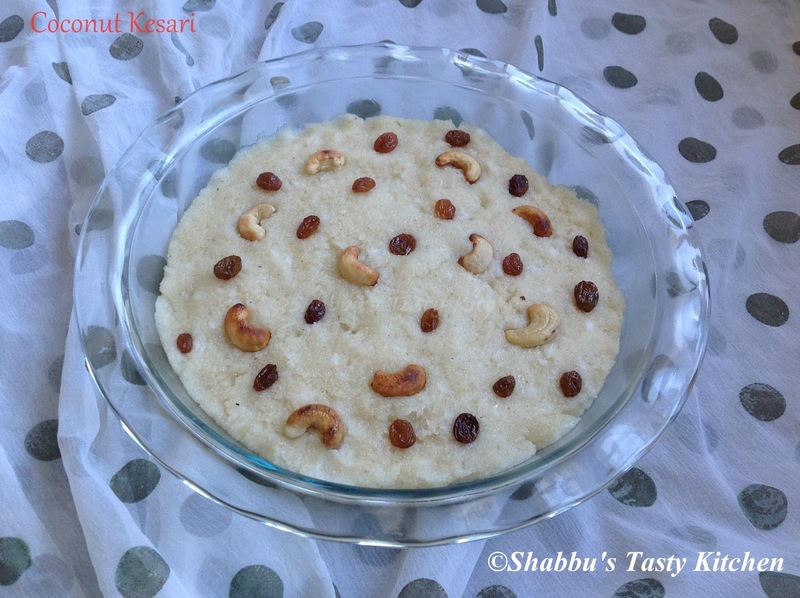 Once this is set, spread 1 tsp ghee on top of that and pour 1/4 cup of egg mixture to form the next layer and sprinkle some cashew nuts and raisins. Again, cook it covered on low flame till sets. Add 1 tsp ghee and pour the maida batter again on top. Repeat the layering alternatively till all the maida batter and egg mixture is used up, giving enough time to set each layer. 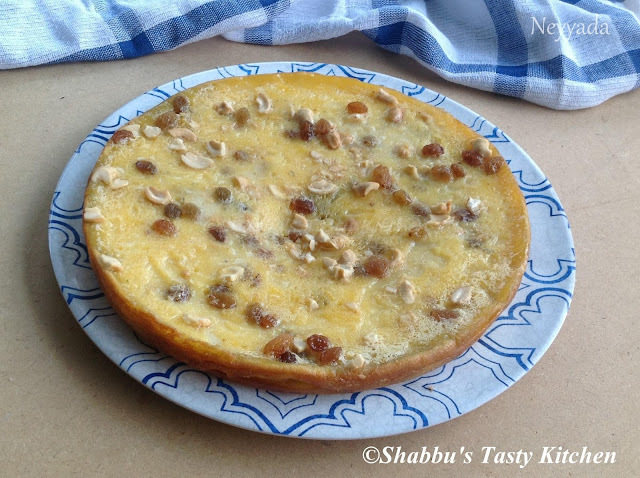 On the top layer, sprinkle more cashew nuts and raisins and allow to cook for some more time at low flame. Cook the fish adding pepper powder and salt. Then crush/ break it into small pieces and keep it aside. In a bowl, add the crushed fish, enough cornflour and salt (if needed) and mix well to form a dough. 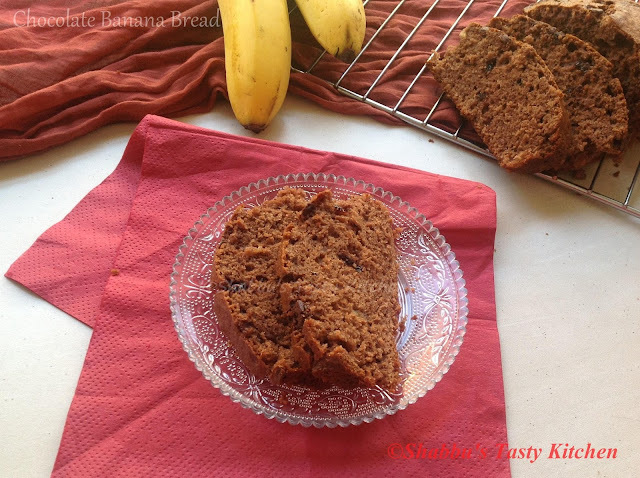 To prepare the filling, peel and chop bananas into small pieces. 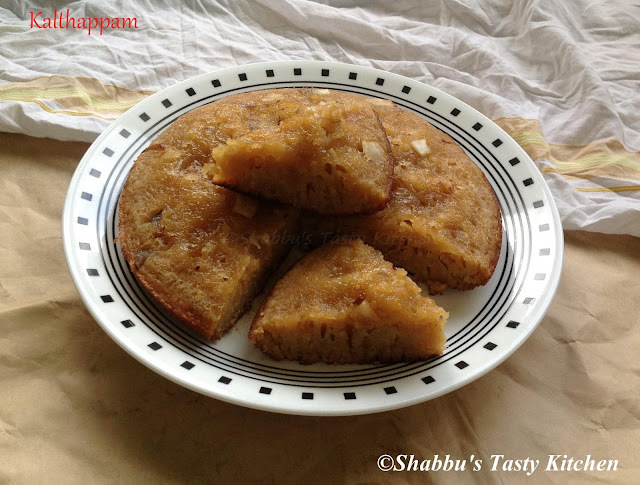 Heat ghee in a pan and add the chopped bananas and fry till it turns soft and golden in colour on medium flame. Add sugar and mix well till the sugar melts. Then add the grated coconut and cardamom powder and mix well. Remove it from the flame and keep it aside to cool. Make medium sized balls out of the prepared dough. Take one ball and flatten it with your palm. Place 1 tbsp of banana filling in the center and carefully seal the edges and make a smooth ball. Peel off the hard skin of the mosambi and remove the seeds. 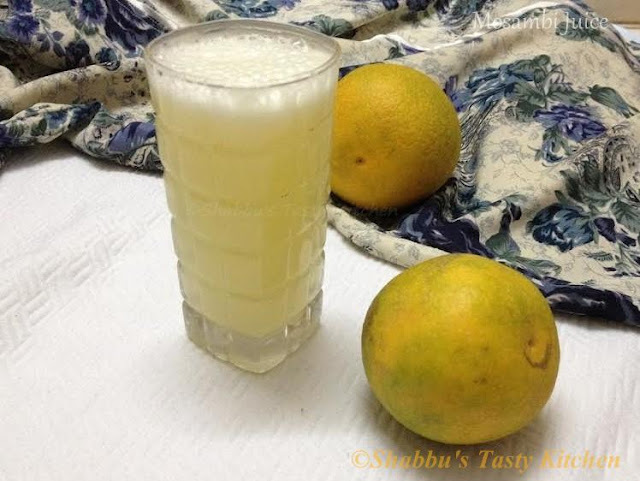 In a blender, add the mosambi, cold water and sugar and blend well. Strain the juice to a jug through a strainer and pour in serving glasses and serve chilled..
Clean and marinate the mutton pieces with 1/4 tsp chilli powder, 1/4 tsp turmeric powder, 1/4 tsp garam masala and salt and keep it aside for 30 minutes. Heat oil in a pressure cooker and add chopped ginger and garlic and saute for a minute. Add sliced onion and little salt and saute well till transparent. 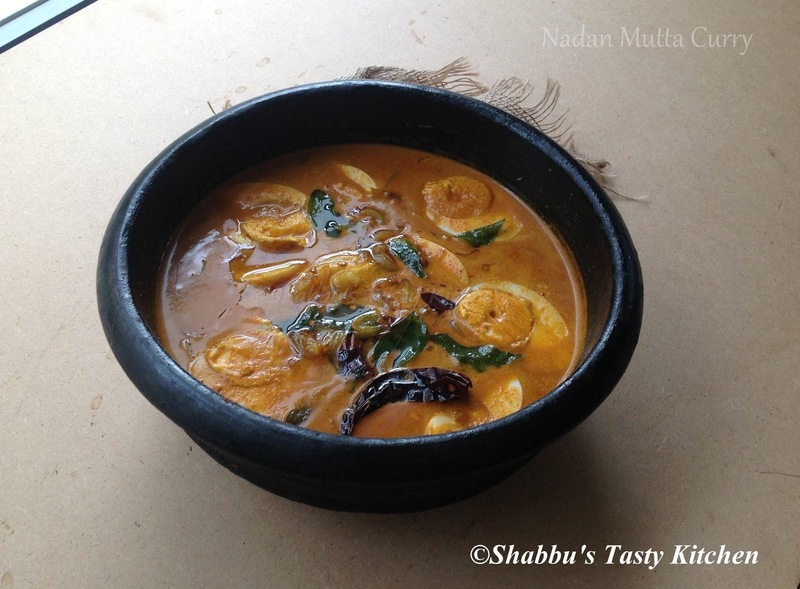 Add curry leaves, green chillies and tomatoes and saute well till tomatoes turns soft on medium flame. Add coriander powder to this and saute for a minute. Add 1 1/2 tbsp kashmiri chilli powder and 1/4 tsp turmeric powder and mix well. Then add the marinated mutton and 1/4 cup of water, mix well and cook covered on medium flame till done ( for about 6-7 whistles). Once the pressure releases, open the cooker and add curry leaves and coriander leaves and boil well for 3-4 minutes. Add a pinch of garam masala and mix well. Check for salt and switch off the flame.Serve hot with ghee rice,pathiri, kadumbu, chapati etc.. In a bowl, add plain flour, yeast, sugar, egg, salt and required amount of carrot puree and mix well. Knead it well to make a soft dough and keep it aside, covered for 3-4 hours. Then knead it again and roll the dough in a floured surface using a rolling pin and cut out star shapes or any desired shapes using a cookie cutter. Clean the squid and marinate it with chilli powder, turmeric powder and salt and keep it aside for 15 minutes. Heat oil in a pan and fry the marinated squid and keep it aside. In the same oil, add the chopped onion, ginger, garlic and green chillies and saute well. Add the grated coconut mixed with 1/4 tsp chilli powder and little salt (mix well using hand) to this and stir well for 3-5 minutes on medium flame. Then add the fried squid , chopped coriander leaves and curry leaves and mix it well. Adjust the salt and switch off the flame. Fill the dough in an idiyappam maker/ press and rotate/press a layer of dough gently into the greased idli /idiyappam plates (or banana leaf ). 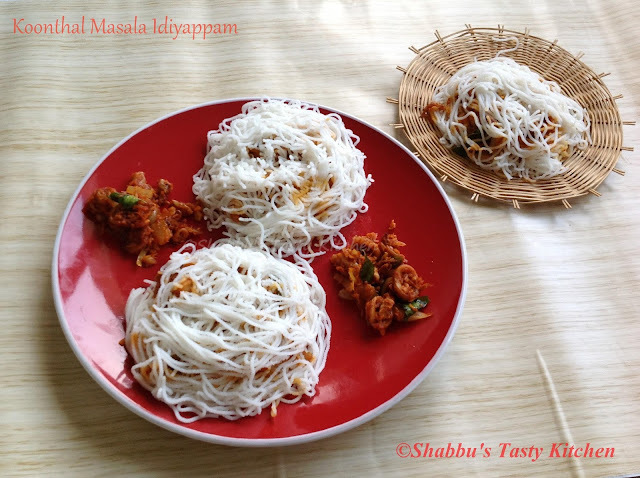 Top it with 2 tbsp of prepared squid masala and then press another layer of idiyappam over it. Preheat the oven to 180 degree celcius. Grease a loaf pan with butter and dust it with flour and keep it aside. In a deep bowl, combine together all purpose flour, cocoa powder, baking powder, baking soda and salt. In another bowl, add mashed ripe banana, eggs and vanilla essence and combine well. Heat a non stick pan over low flame, add butter and sugar and mix well till combined. Remove from flame, add the cooking chocolate and combine slowly till the chocolate is melted completely. Add the chocolate mixture to the egg-banana mixture and combine well. Add the flour mixture to this little by little and combine evenly. Fold in the chocolate chips. Then pour this mixture to the prepared loaf pan and bake in the preheated oven for about 45-50 minutes or until the toothpick inserted in the centre comes out clean. 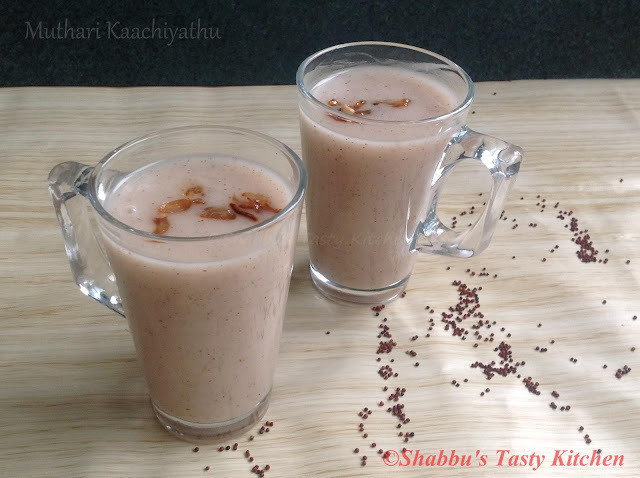 To prepare the milkshake, add 3/4-1 cup prepared custard, condensed milk or sugar, tender coconut pulp and chilled milk in a blender and blend well until smooth. Grind grated coconut, green chillies, ginger, garlic, coriander leaves and curry leaves to a paste. Add lemon juice and salt to the chutney and mix well. Cover each piece of boiled egg with the prepared chutney over the cut surface. Then evenly dip it in the egg white and shallow fry carefully. In a pan, add the cleaned chicken pieces and cook it with ginger paste, garlic paste, green chillies, 1/2 tsp turmeric powder and salt without adding water. Heat a pan and dry roast the grated coconut till golden brown. Switch off the flame and allow it to cool. Then grind it to a smooth paste adding little water and keep it aside. Heat 2 tbsp oil in a pan and add sliced onion, chopped ginger, garlic and curry leaves and saute well till onion turns transparent. Add 1/2 tsp turmeric powder, chilli powder, coriander powder and garam masala and saute till the raw smell disappears. When oil separates. add the cooked chicken and 1/2 cup of water and mix well for 2 minutes. Then add the ground coconut paste , mix well and cook covered for 3-4 minutes on medium flame. 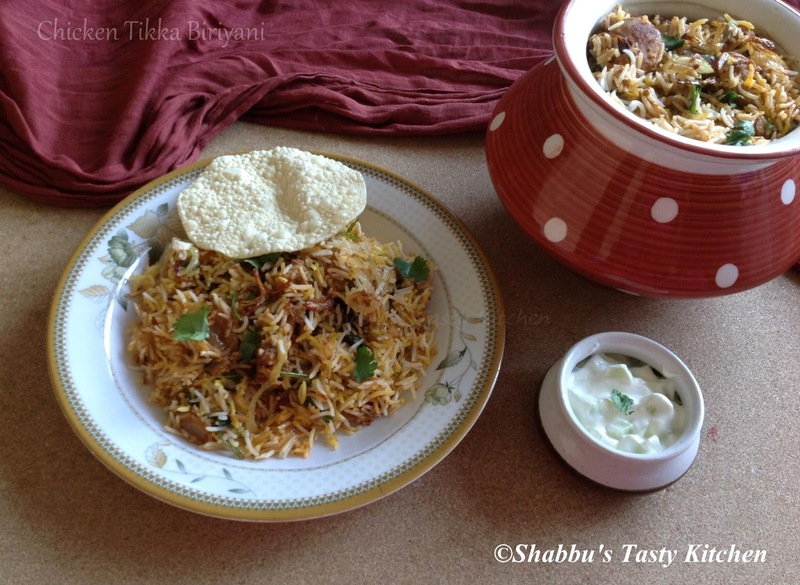 Thengapathiri - Guest Post for Yummy Food: "Joy from Fasting to Feasting X "
My today's recipe is a guest post for Lubna, for her Ramadan event "- Joy from Fasting to Feasting". Jazak Allahu Khayran Lubna for giving this wonderful opportunity and I am extremely pleased to be part of this lovely event. Her space Yummy Food has a fabulous collection of recipes with amazing pictures. 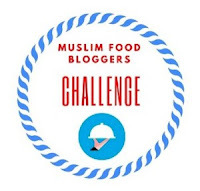 It also has lots of Ramadan recipes from different parts of the world contributed by other food bloggers for the Ramadan event over the last 10 years.. 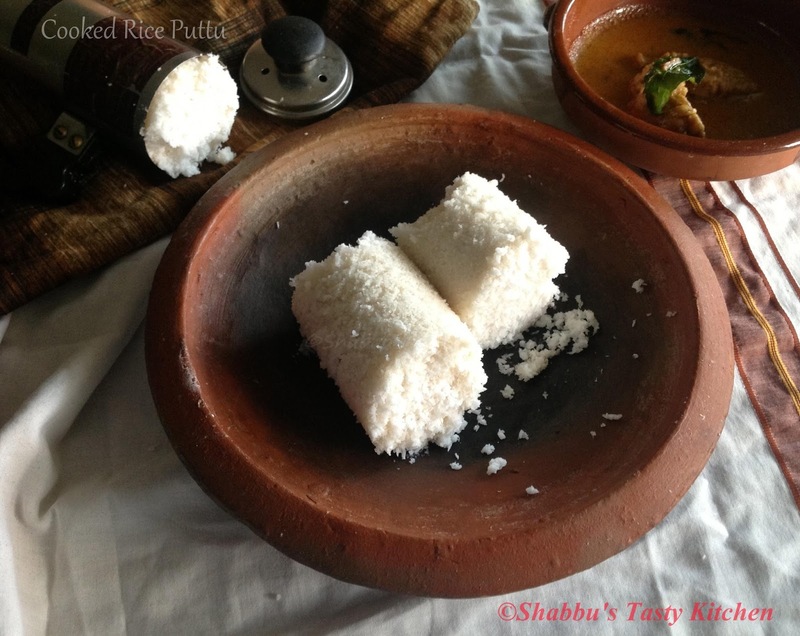 Grind the drained rice with melted jaggery, cooked rice, cardamom, cumin seeds and salt to a smooth batter. Transfer to a bowl and add a pinch of baking soda and mix well. Heat a pressure cooker and add oil and saute the coconut slices till it become light brown. Then add the sliced shallots and saute till golden brown. 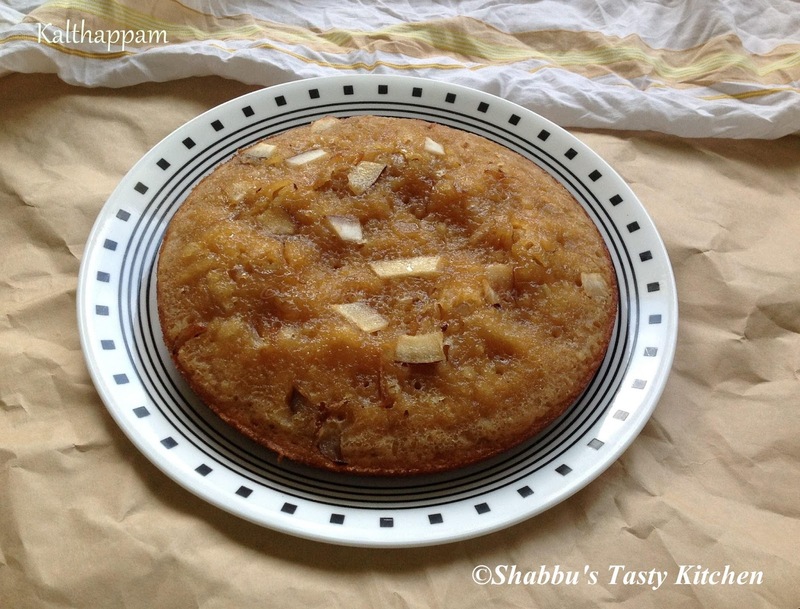 Then pour the prepared rice-jaggery batter to the cooker and close the cooker tightly without placing the weight/ whistle and cook for 1 1/2-2 minutes on high flame. Now reduce the flame and cook for 15 minutes on low flame. After 15 minutes, check if its cooked by inserting a toothpick. If it comes out clean, its done..Else cook for 5 more minutes and then remove from flame and let cool. 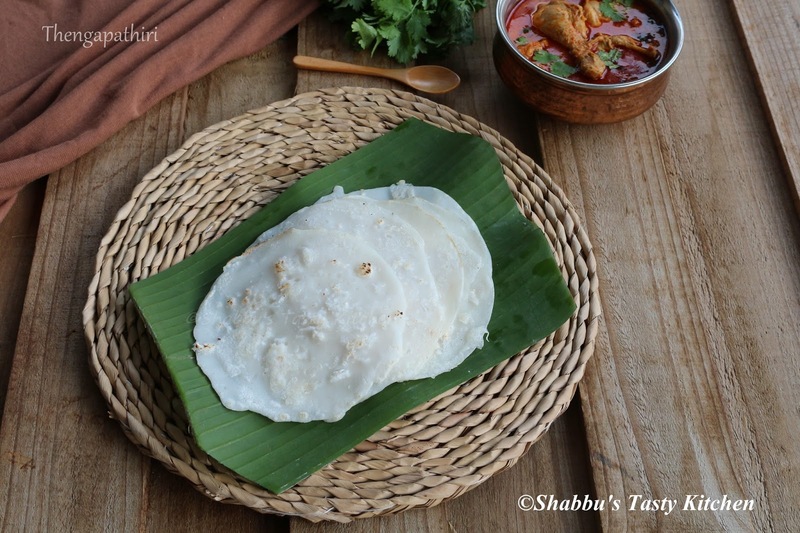 When cool, gently remove the kalathappam from the cooker and cut into pieces and serve..
Place the chopped mangoes in a blender and blend well to a smooth puree. Transfer this to a large bowl/ jug and add the prepared sugar syrup, lemon juice and the cold water and stir well to combine. 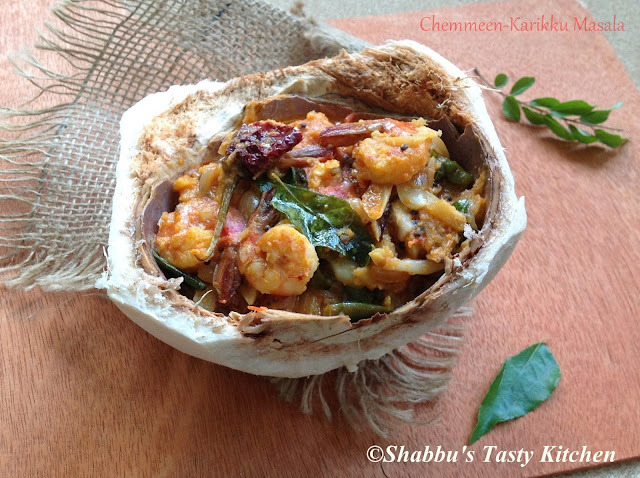 Add the ground coconut paste, curry leaves and cleaned prawns to the cooked basale and cook for few minutes. Adjust the salt. In a bowl, add the sliced onions and salt and mix well with your hand. Keep it aside for 15 minutes. Then add curry leaves, green chilli, chilli powder and baking powder to this and mix well. Add plain flour little by little and mix well with your hand. 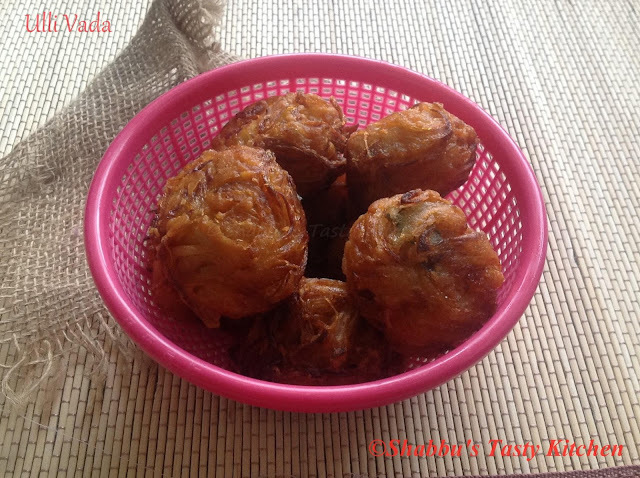 ( No need to add any additional water, the moisture in the onions will helps for making the batter). Heat oil in a pan for deep frying. Make small balls out of this mixture and carefully drop in the hot oil. Fry them in batches until it turns golden colour on medium flame.